Collectively this information allows us to uniquely identify you on the CaskFinder app and communicate to you about prizes you may win and resolve any problems with your account. We will not have access to your password although we will be able to reset it. This information will be stored on the servers of the company which has built the app for us www.inapub.co.uk. If you choose to participate in our ale trails by scanning Cask Marque certificates in pubs, then we will store records of which pubs you have visited and when. This is for the purpose of calculating when you are due prizes. We may share information with pub and brand owners such as how many people visit pubs, but we will never share your personal data with them. Separately when signing up, we will ask if you would like to receive marketing emails explaining about what Cask Marque is doing. Your data is never shared with any third parties. 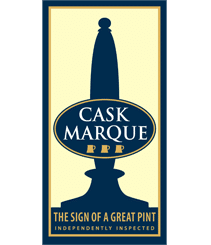 If you choose to fill in the form on our website you will be explicitly agreeing to receive marketing emails explaining about what Cask Marque is doing. Your data is never shared with any third parties. Whether you signed up via the app or the website all our marketing emails will be controlled from our mailchimp.com account. The quickest and easiest way is to click on the unsubscribe link which appears on every bulk email. This will take you straight to our mailchimp.com record for you and allow you to be permanently removed. Mailchimp does not allow us to email you once you have withdrawn your consent. You can also opt out of receiving emails from us at any time by emailing alex@cask-marque.co.uk or calling 01206 752212. We will endeavour to remove you from our mailing list within 24 hours.